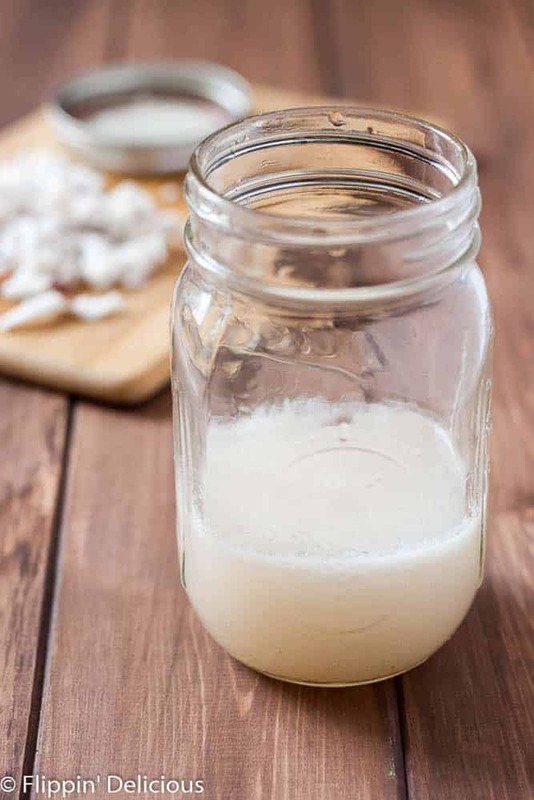 Homemade Coconut Extract is easy to make and naturally adds a sweet tropical coconut flavor to all your favorite recipes. 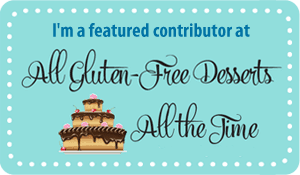 Have you ever made your own vanilla extract? I haven’t, but I have seen lots of recipes online. It is pretty basic. Toss a vanilla bean in some alcohol (normally vodka) and then let it sit for a while. The flavors from the vanilla bean dissolve into the alcohol and then you can easily add them to all your favorite recipes. 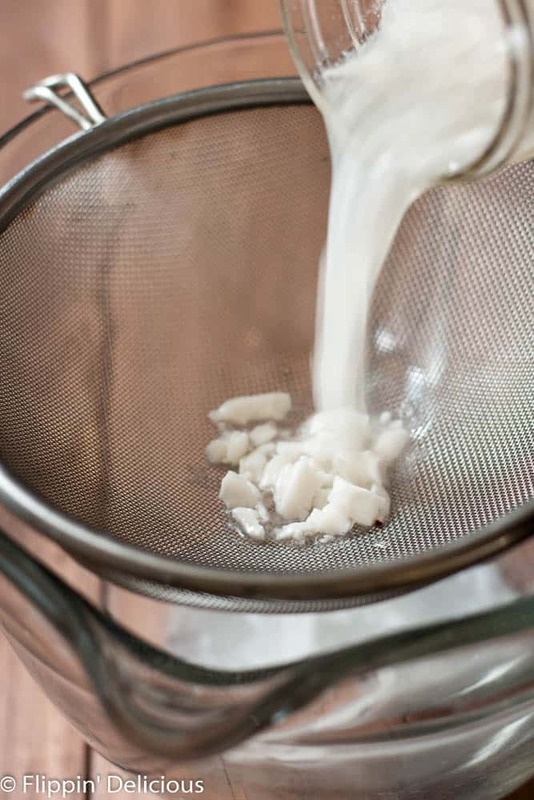 Making homemade coconut extract is just as easy! You only need 2 ingredients. Some alcohol and some coconut. Combine the two in a jar or other airtight container, and leave it in a cool dark place. I put mine in my cupboard and gave it a good shake every day or so. 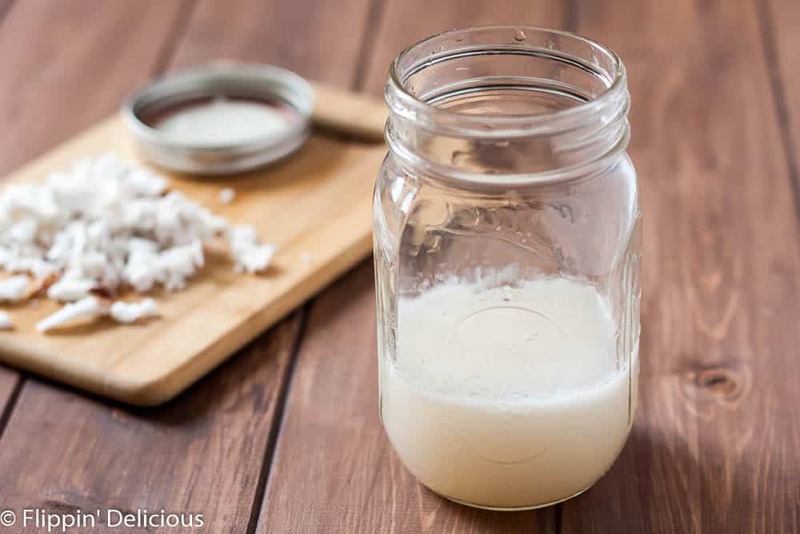 While the prep for this homemade coconut extract is super easy, it can take some time for your extract to reach the strength that you want. I let my homemade coconut extract do it’s thing for about a week and a half before I strained it. Just let it sit until you love the flavor! I used some fresh shredded coconut that I had in the freezer. I guess then it was frozen shredded coconut? Anyways I had it on hand so I used it. I have had a hard time using it up because it still has the brown “skin” on it. Whenever I add it to smoothies or something it adds a funky texture. BUT I thought this homemade coconut extract was the perfect way to use some of it up. 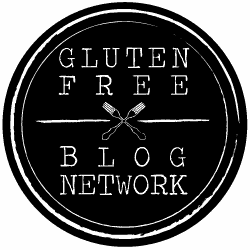 Go ahead and use dried shredded coconut instead of fresh or frozen coconut. The alcohol will extract the flavors just the same. 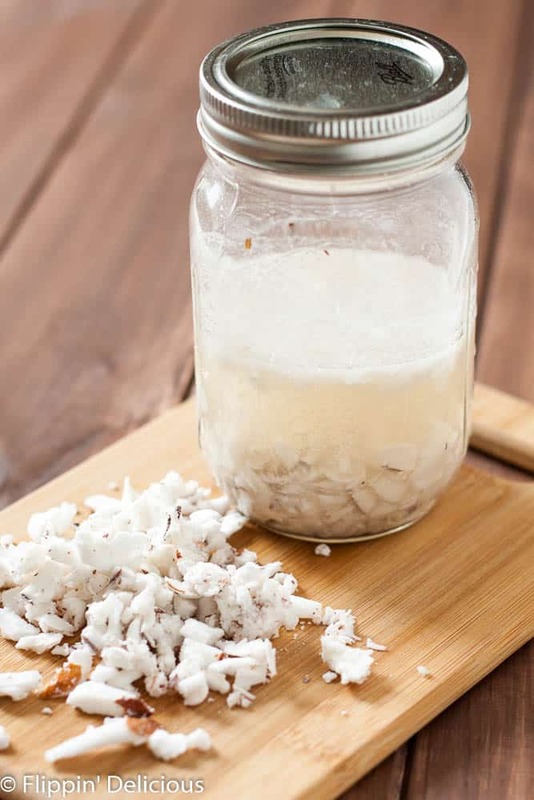 Place the shredded coconut in a jar or other airtight container. Pour enough rum over the coconut to cover it. I ended up using about equal parts. Place in a cool, dark area and let sit for several days to 2 weeks, giving your jar a good shake about once a day. 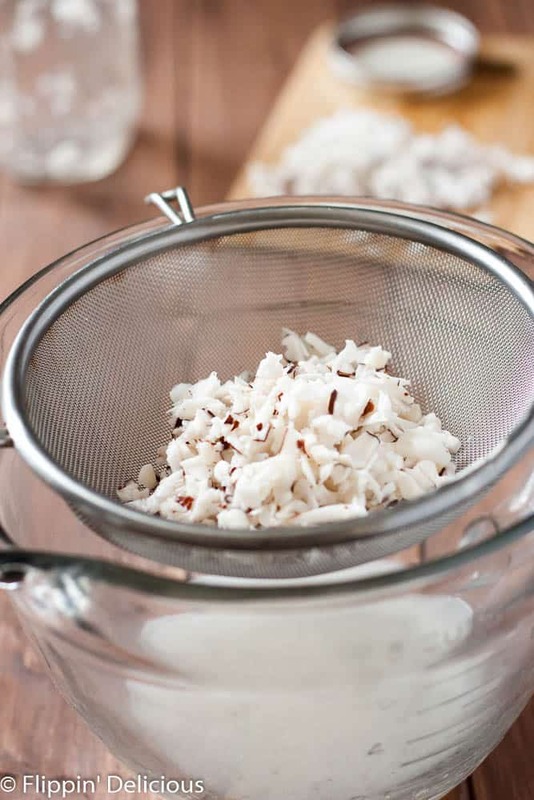 Once your extract has reached your desired level of coconutty-ness, drain the extract from the shredded coconut and store it. I decided to store my extract in the fridge, just to be safe. I felt that the flavors in my homemade extract were not as concentrated as commercial extract, so I used more in recipes when baking. But that is just my personal preference. I used a white rum with 35% alcohol content.